WASHINGTON — The U.S. Senate voted 55-44 to scuttle a measure to extract the U.S. military from the Yemen civil war and rein in what proponents argued were unchecked presidential powers. Their efforts may yet lead to congressional action on the Yemen question and a new authorization of the use of military force. Amid the debate, Senate Foreign Relations Committee Chairman Bob Corker, R-Tenn., announced there would be a hearing and markup on nascent, bipartisan legislation on Yemen, and a markup on a new war authorization to replace the post-9/11 authorizations on April 19. The vote to table the measure was mostly partisan, though 10 Democrats voted with the Republican majority, including the Senate Armed Services Committee’s Ranking Democrat Sen. Jack Reed, of Rhode Island, and Sen. Joe Donnelly, D-Ind. Five Republicans joined the mostly Democratic minority who voted in vain to keep the measure alive. A bipartisan group of senators, of various ideological backgrounds, introduced a joint resolution last month to invoke the War Powers Act to overrule the president and withdraw troops from a conflict they believe is unauthorized. The U.S. provides the Saudi-led coalition intelligence, reconnaissance and midair fighter refueling. Sen. Bernie Sanders, I-Vt., who co-sponsored the bill with libertarian Sen. Mike Lee, R-Utah, and Se, Chris Murphy, D-Conn., argued that Congress must reassert its constitutional war powers. There have been various congressional votes in recent years aimed at checking security cooperation between the U.S. and Saudi Arabia, and each has failed. In the wake of President Donald Trump’s announcement of a $110 billion arms deal with Riyadh, the Senate in June approved a precision-guided munitions sale to Riyadh, but the six-vote margin was surprisingly narrow. 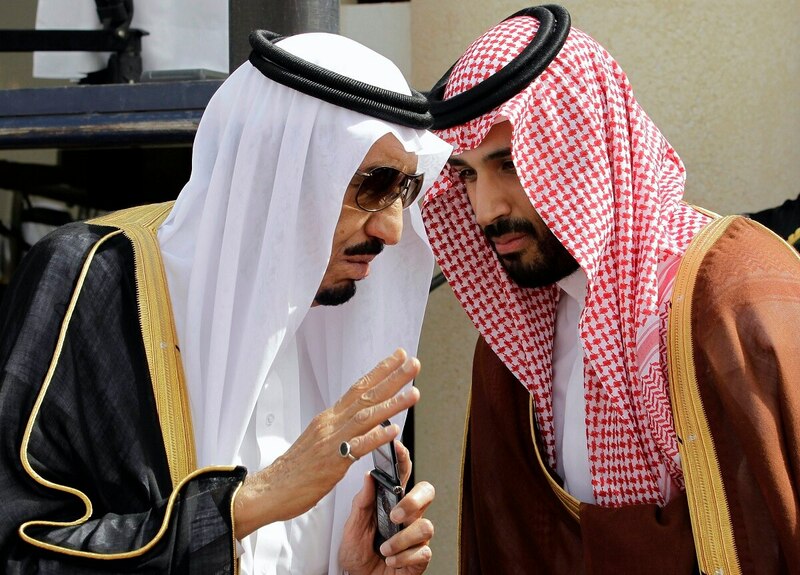 Tuesday’s vote came amid the Washington visit of Saudi Crown Prince Mohammed bin Salman, who’s employed a mixture of liberalization and repression since he became heir apparent in June 2017. Trump met with Salman on Tuesday and asked him to continue to purchase American-made arms. “Saudi Arabia is a very wealthy nation, and they’re going to give the United States some of that wealth, hopefully in the form of jobs, in the form of the purchase of the finest military equipment anywhere in the world,” Trump said. Senate Majority Leader Mitch McConnell, R-Ky., and the Trump administration were among the defenders of U.S. involvement in Yemen. They argued a U.S. withdrawal would benefit Iran and al-Qaeda in the Arabian Peninsula, and undermine the confidence of America’s Middle Eastern allies. In a March 14 letter to lawmakers, Defense Secretary Jim Mattis, said U.S. aid is aimed at ending the war in a negotiated, U.N.-brokered resolution. “New restrictions on this limited U.S. military support could increase civilian casualties, jeopardize cooperation with our partners on counter-terrorism and reduce our influence with the Saudis-all of which would further exacerbate the situation and humanitarian crisis,” Mattis wrote. Since 2015, Yemen has been embroiled in a brutal civil war between a Shiite insurgency, the Houthis, and a Sunni government backed by the Saudi-led coalition. More than 10,000 people have been killed in the conflict, and in recent days, the U.N. reported the Saudi-led coalition killed 68 children and wounded 36 others from July to September 2017. On Tuesday, Corker urged his colleagues to vote for his tabling motion and let the legislative process take its course. His panel will hold a hearing and mark up nascent, bipartisan legislation on the Yemen question, as well as a new AUMF, he argued. “This is vote to skip the Foreign Relations Committee,” Corker said, calling the bill’s fast-track procedure, “a Wild West debate.” “Let us bring something to the floor which will also have an outcome,” he said. Menendez, in a floor speech, acknowledged the severity of the humanitarian crisis and ballistic missile attacks on Saudi Arabia from Yemen, but he argued a U.S. withdrawal would strengthen Iran and diminish U.S. influence in the Mideast. He and other Democrats argued that amid President Trump’s chaotic foreign policy, and weakening of U.S. diplomacy, now was the wrong time to deny aid to an ally.